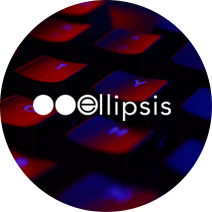 Ellipsis Technologies develops and maintains a revolutionary, proprietary web security technology that invisibly verifies human site visitors while protecting against harmful bots. A couple of years ago, however, this ground-breaking technology wasn’t available to online merchants and website developers. Bill West, Principal of The Atlantic Partners, serial entrepreneur/turnaround specialist during the telecom boom and partner/investor in multiple technology ventures worldwide, approached the Kopis team with a one-of-a-kind challenge. Bill hadn’t founded Ellipsis Technologies yet, but he had discovered a company in Atlanta with an interesting idea, and the beginnings of an interesting technology. The Kopis team was excited by the prospect of getting involved with something this big at the ground-level and, potentially, helping to take the product to launch. We came on board the project as corporate technology consultants. After the initial evaluation, Kopis determined that the technology had great potential but still needed significant work before it was ready to go to market. We advised Bill West and his team that they would be more successful raising money, and have a more successful launch, if they fine-tuned the technology first. Over the course of the year, a team of Kopis developers created a technology that invisibly detects human presence on the web using machine learning algorithms to track the timing and movement of data touches and swipes, securely storing this information in the cloud, including a quick and easy installation process. Ellipsis Technologies was able to raise the money they needed to get to market and has successfully launched with a solid technology. Their product launched as a plugin for WordPress and Shopify, and, so far, is used by 4 million sites worldwide. The Ellipsis team and Kopis are now looking toward the next iteration of their product and their business plan. The Kopis team is thrilled that we were brought in for this unique, groundbreaking product launch, and we look forward to continuing our work and seeing where the technology goes next.